Attention all Texas McCombs students! You can also download the “McCombs Career Expo” app for more information. It is available on the Apple Store and the Play Store. 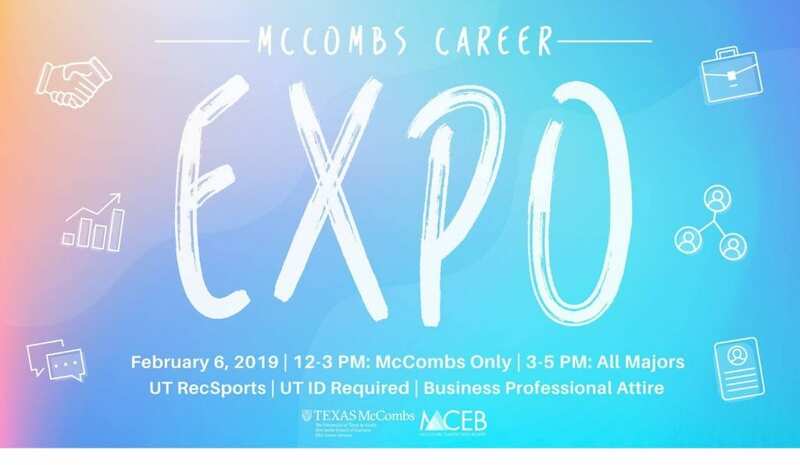 For a full list of companies attending the Career Expo, please download the app or visit RecruitMcCombs. Nervous? Attend a prep workshops! Questions? Stop by BBA Career Services.